MTNL in collaboration with Teracom has finally made its foray into the tablet market with the launch of its three new tablets in the Lofty series. The MTNL Lofty TZ100 has to be labeled as the best of the lot though, with features that can give the rest of the manufacturers a run for their money. With MTNL LoftyTZ200 and MTNL Lofty TZ300, MTNL has experimented with features and tried to tap into every tablet segment in the low cost range. MTNL LoftyTZ100 is the costliest of all the MTNL tablets and not for nothing. It has the best configuration among them. An Ice Cream Sandwich Operating system, 1024 X 600 pixel resolution, 7 inch capacitive screen makes you sit up and take notice. Given a 1 GHz Cortex A9 processor and 512 Mb RAM, the tablet looks to satisfy your basic demands of music and video playback apart from games and other useful apps. 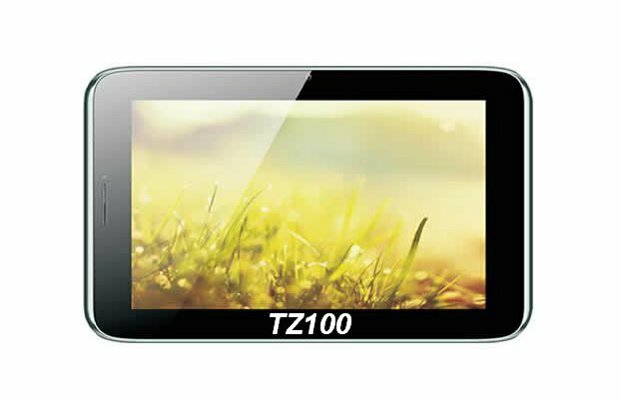 A front and rear camera give the TZ100 ability for video calling and decent picture quality. The best part of the tab however, is that it supports a SIM for calling and 3G Internet, which makes it indeed a very viable option for buyers looking for an all in one tablet. Android 4.0, Ice Cream Sandwich. 4GB internal storage and expandable upto 32GB through SD card. 7 inch screen with 1024 x600 pixel resolution. Support SIM for calling and 3G internet. 3 MP rear camera and 0.3 MP front camera. What remains to be seen is whether the Rs 10,999 price tag is justified by its actual performance. Watch this space for more.